A General Counsel knows the situation all too well. He or she receives word that the Company has been named as part of a multi-plaintiff case in a plaintiff friendly jurisdiction which has nothing to do with the underlying facts, and most of the plaintiffs do not live in the jurisdiction. Furthermore, the Company is not a resident of that jurisdiction, is not incorporated in that jurisdiction, and does not have a principal place of business in that jurisdiction. However, plaintiffs’ counsel, in anticipation of a motion to dismiss for lack of personal jurisdiction, joins at least one party plaintiff who is a resident in the unfavorable jurisdiction. Up until June 29, 2017, plaintiffs’ counsel would argue that because the defendant was possibly subject to “long arm” personal jurisdiction for that one plaintiff, therefore the Company is subject to personal jurisdiction for hundreds of other plaintiff cases that have no factual connection to the jurisdiction. In fact, there is no commonality at all among the plaintiffs except that they all took the same drug or used the same product (and it is learned later that many of the plaintiffs signed up for the lawsuit after seeing one of the innumerable ads playing on TV). The Company’s General Counsel worries how many lawsuits in the unfavorable jurisdiction will be filed in the future, and what can be done to protect the Company. 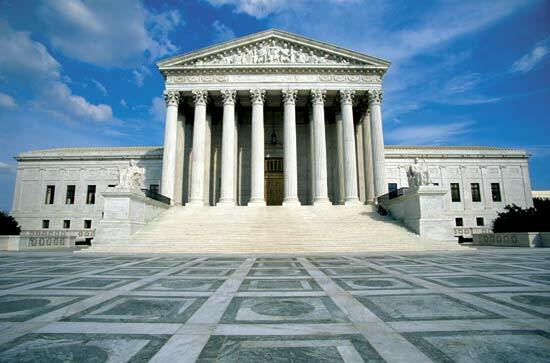 The United States Supreme Court has not apparently answered the question, telling plaintiffs’ counsel “3 strikes and you are out,” and the Company’s solution is to immediately file a motion to dismiss for lack of personal jurisdiction. -resident plaintiff claims with those of a resident plaintiff. This is the third recent case in which the U.S. Supreme Court has clarified the standards for jurisdiction over a defendant. In Daimler AG v. Bauman, 571 U.S. _____ (2014) the Supreme Court reaffirmed the distinction between “general” and “specific” personal jurisdiction. It reversed a California Supreme Court decision, and held that for “general jurisdiction”, a non-resident corporation can only be sued where it is essentially “at home”, normally its place of incorporation or the state of its principal place of business, unless certain “extraordinary” factors exist. Merely selling products, or having one of its subsidiaries selling products in a jurisdiction, is not enough to confer personal jurisdiction over the non-resident corporate defendant. Just a few weeks ago, the Court held that merely owning property or having some of its employees present in a jurisdiction, also is not sufficient to confer “general” personal jurisdiction in BNRR v. Tyrell, 582 U.S. _____ (2017). In the Bristol Meyers Squibb (BMS) case, the plaintiffs did not argue they had general personal jurisdiction over the defendant. Instead plaintiffs’ counsel attempted to “piggyback” non-California resident claims with resident claims. In the underlying lawsuit, plaintiffs contended that Plavix, a prescription blood thinner drug, manufactured and sold by BMS caused their injuries. BMS did not develop Plavix in California, and did not manufacture, label, package or work for regulatory approval in California. BMS did sell over 187 million Plavix pills in California. A group of 678 plaintiffs (86 California residents and 592 from 33 other states) filed 8 separate complaints in California Superior Court. BMS moved to dismiss for lack of personal jurisdiction. After an appeal of the denial of BMS’ motion to dismiss, the California Supreme Court applied a “sliding scale approach to specific jurisdiction.” Under this California approach, “the more wide ranging the defendant’s forum contacts, the more readily is shown a connection between the forum contacts and the claim”, holding that BMS had extensive contacts with California, thus permitting the exercise of specific jurisdiction over BMS. In no uncertain terms in a 8 to 1 opinion, the U.S. Supreme Court expressly rejected this “sliding side” approach. The U.S. Supreme Court reiterated that “for a court to exercise specific jurisdiction over a claim, there must be an ‘affiliation between the forum and the underlying controversy, principally [an] activity or an occurrence that takes place in the forum state’.” (Slip. Op. at p. 7, quoting Goodyear Tire.) The U.S. Supreme Court in BMS held that “our cases provide no support for this [sliding scale] approach, which resembles a loose and spurious form of general jurisdiction. For specific jurisdiction, a defendant’s general connections with the forum are not enough.” (Slip. Op. at p. 7). The Court held that a defendant’s relationship with a third party (here with California plaintiffs that were prescribed, obtained or ingested Plavix in California, “does not allow the State to assert specific jurisdiction over the non-residents claims.” (Slip. Op. at p. 8). Nor was it sufficient that BMS conducted research on non-Plavix drugs in California. (Slip. Op. at p. 8). Furthermore, the bare fact that BMS contracted with a California distributor was not enough to establish personal jurisdiction. (Slip. Op. at p. 8). The majority also completely rejected Justice Sotomayor’s “parade of horribles” offered in her dissent. The Court’s majority said that the decision does not prevent California and non-California plaintiffs from joining together in one suit, only that it must be brought in a jurisdiction where the Court can assert general personal jurisdiction over the defendant. Alternatively, each state’s plaintiffs could sue together in their home states. (Slip. Op. at p. 12). Thus Justice Sotomayor’s fears, that this will be somehow unfair to injured plaintiffs and prevent them from holding a corporation unaccountable, would not come to pass. Are the days of mass filings in plaintiff friendly state jurisdictions (and the television ads that spawned such filings) gone for good? We shall have to wait and see.